The following lists some of the professions people are in who belong to the Society for Technical Communication (STC) and describes what STC is for and what the Washington, DC – Baltimore (WDCB) Chapter offers you as a member. 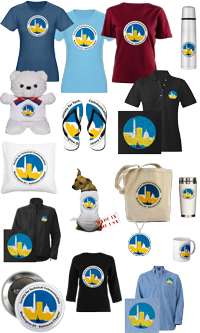 See our STC Information: Join STC and the Washington, DC – Baltimore (WDCB) Chapter page for information about why you should join STC and the membership benefits in STC and the Washington, DC – Baltimore (WDCB) Chapter. For information about STC annual conferences / Technical Communication Summits, STC election candidates (when available), related professional and student chapters in our region, and links to membership and educational information on the Society's site, see our STC Information: Annual Conference & STC Connections page. 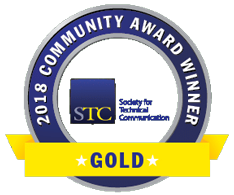 STC serves its members by identifying and promoting best practices in the field and by demonstrating the economic value delivered by technical communicators. By providing lifelong learning opportunities, we help our members develop their skills and competencies so that they may advance in a variety of career paths. STC's Special Interest Groups (SIGs) are groups of STC members with common experiences and interests who share their skills and knowledge with each other and the Society. You may sign up for as many SIGs as you wish. STC offers many benefits to members. The Washington, DC – Baltimore (WDCB) Chapter is one of the largest in the Society. The Chapter celebrated its 60th anniversary in 2015 and has approximately 300 members in diverse fields including advertising, computer manufacturing, data processing, education, electronics, engineering, government, medicine, publishing, and research. For a brief summary about our chapter, see the Washington, DC – Baltimore (WDCB) Chapter brochure (.pdf). Honors and awards held by the chapter and chapter members as well as past chapter presidents are provided in the Chapter History pages. Our strong and enthusiastic leaders have helped the chapter win the Society's Chapter Achievement Award of Distinction in 2011 and 2009, Excellence in 2014, 2001, 2002, 2004, 2006, 2007, and 2008; the Chapter Achievement Award of Merit in 2003; the Chapter Pacesetter Award in 2013, 2003, and 1995, and the Outstanding Chapter of Achievement Award in 1988. The chapter has also won numerous STC Newsletter and STC Public Relations Competition awards. For a list of all the awards given to the Chapter, see Chapter Honors. Monthly chapter events held from August/September through June feature guest speakers, tours of communication centers, and panel discussions on topics of interest to technical communicators. The Washington, DC – Baltimore (WDCB) Chapter provides a variety of event formats from informal networking and discussions to complete dinner events. Events are held in the District of Columbia, Maryland, Virginia, and occasionally on the Potomac River to accommodate members throughout the area. The STC WDCB Events & News site provides news of chapter events, Society news, and feature articles. Submissions are welcome from members. The Events & News site replaces the paper-format Capital Letter newsletter. Copies of archived newsletters are available in PDF format from the archived Newsletter page. The chapter has a WDCB Jobs Board with links to RSS feeds from several job announcement feeds.The WDCB Jobs Board also provides an excellent list of Employment Resources. The Washington, DC – Baltimore (WDCB) Chapter sponsors annual competition for technical communication. The competition is open to members and nonmembers, who submit samples of their work for judging by their peers. Entries may include books, brochures, graphic and packaging designs, hardware and software documentation, newsletters, online presentations and publications, periodicals, promotional material, technical reports, technical graphics, and video. The Washington, DC – Baltimore (WDCB) Chapter gives an Austin T. Brown Technical Communication Award to encourage the development and awareness of technical communication. This may be awarded to the best student entry in the Technical Communication Competition. One of STC's major goals is to advance the theory and practice of the arts and sciences of technical communication. The Society encourages members to engage in scientific, literary, or educational research in technical communication. The Washington, DC – Baltimore (WDCB) Chapter awards a Shirley G. Carter Memorial Award to a best student entry in the Technical Communication Competition by an undergraduate and a graduate college student. In addition to monthly events, the Washington, DC – Baltimore (WDCB) Chapter sponsors a variety of professional and technical workshops to assist career development and advancement. Typical workshop topics include electronic publishing, current trends, instructional seminars, stress management, and resume preparation. See the Join STC and the Washington, DC – Baltimore (WDCB) Chapter page for information about how to join STC and our chapter. See the Corporate Sponsorship page for how organizations and corporations may become STC corporate members or sponsors of our chapter. If you've already renewed, you may add affiliations to chapters and SIGs. Use our Contact Us form to let the chapter know about changes to your name, address, phone numbers, or e-mail address. Send changes to your personal and work information to update mailing lists for STC journals and notices. Log in to stc.org and go to your profile page to make updates.